Citation: C N Trueman "George Blake"
historylearningsite.co.uk. The History Learning Site, 26 May 2015. 6 Apr 2019. 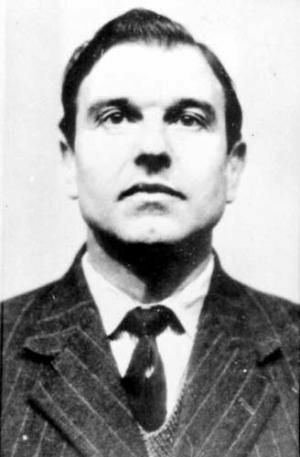 George Blake was a spy for the Soviet Union during the 1950’s. Blake was caught when a Polish spy who had defected to the West blew his cover to the CIA. There was great anger over what Blake had done and he received a prison sentence of 42 years, the longest ever handed out at the time except for a prisoner actually sentenced to a full life term. Blake was born in Rotterdam on November 11th 1922. He had a Dutch mother and a Turkish father and was born George Behar. His father, Albert, was a naturalised British subject and proud of it. He had fought against the Ottoman Empire in World War One and had been awarded medals for his gallantry. In 1936, Albert died and George was sent to Egypt to stay with relatives. While in Egypt he continued with his English way of life by attending the English School in Cairo. He became close to his Uncle Henri who was to become a leading member of the Communist Party of Egypt. During World War Two, Blake returned to the Netherlands where he joined theresistance movement working as a runner. He was interned but released because he was not yet eighteen. Blake was certain that he would have been interned again once he reached his eighteenth birthday. He therefore escaped to the UK. When in England he changed his surname to Blake and joined the Special Operations Executive (SOE). Blake spoke several European languages with a degree of fluency. He acted as a guide for agents who worked in the Netherlands. Blake also translated documents brought back to the UK by agents who had worked undercover in Occupied Europe. At the end of World War Two, Blake was sent to Hamburg to interrogate German U-boat captains. A talented linguist, Blake caught the eye of MI6. He was taught Russian and recruited by MI6 in 1948. His first posting was to Seoul where he was tasked with creating a network of agents who were loyal to the West and who also had a hatred of communism. However, the sudden invasion of South Korea by North Korea in 1950 led to the fall of Seoul. Blake was captured by the North Koreans and spent three years in detention. It was during this time in detention that Blake converted to communism. He claimed that the writings of Karl Marx left a deep impact on him. In an interview many years after the Korean War, Blake also stated that it was the knowledge that defenceless Korean citizens were being bombed by the US that also convinced him that the communist system had to be better. In 1959 Blake returned to the UK and worked in a unit called DP4. This unit recruited British businessmen who travelled to the USSR and also Russian diplomats based in the UK. In 1961, the Polish spy Michael Goleniewski defected to the West. He named Blake to the authorities and he was arrested. Blake was tried in camera at the Old Bailey. Such was the extent of his betrayal that he was given a term of 42 years in prison. At the time the media reported that this term represented the number of MI6 agents arrested by the KGB after Blake had betrayed them. Had he served all of it, Blake would have been about 80 years of age when he was released. In October 1966 Blake escaped from Wormwood Scrubs Prison in London. He fled to the Soviet Union where he worked for the Institute of World, Economic and International Affairs. In 1990 he wrote his autobiography ‘No Other Choice’. In 1991, Blake apologised for the deaths he caused by betraying agents to the KGB. He continues to live on a KGB pension in Moscow.